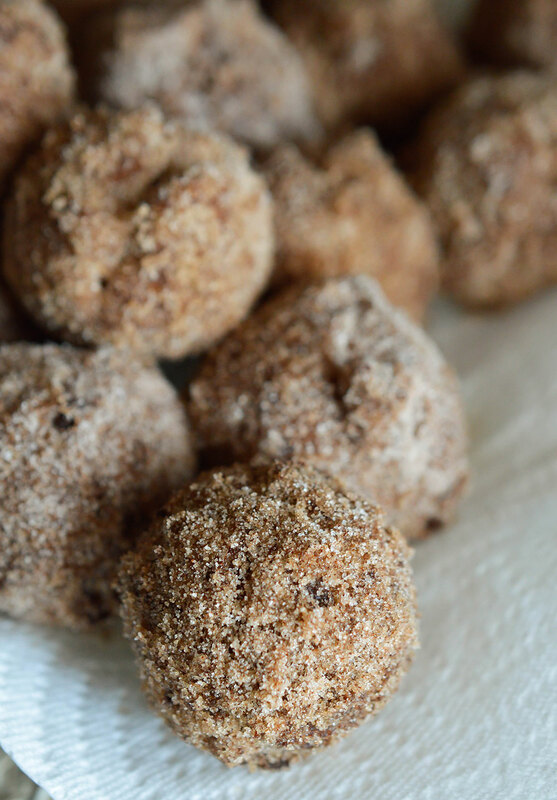 This Cinnamon Sugar Fried Doughnut Recipe is quick and easy! Homemade doughnuts don’t have to be complicated. 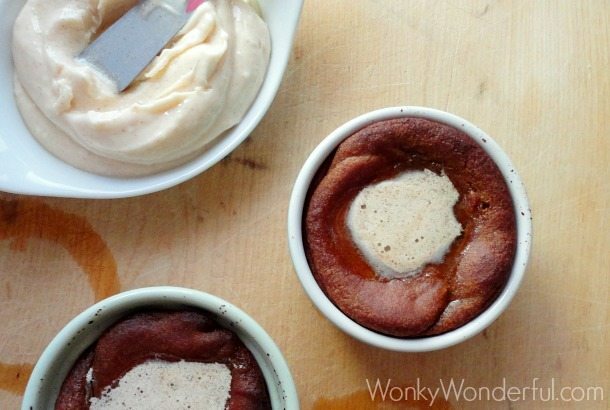 This simple doughnut batter gets it’s outrageous flavor thanks to Musselman’s Apple Butter. 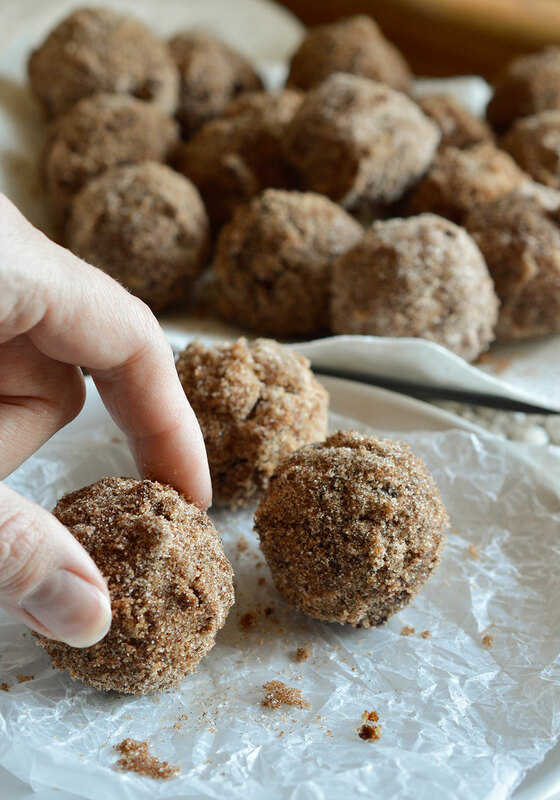 Doughnut holes rolled in cinnamon and sugar for the ultimate breakfast! 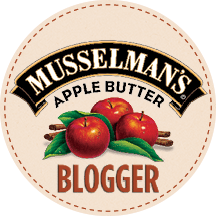 I have the pleasure of partnering with Musselman’s Apple Butter to bring you tasty apple butter recipes. 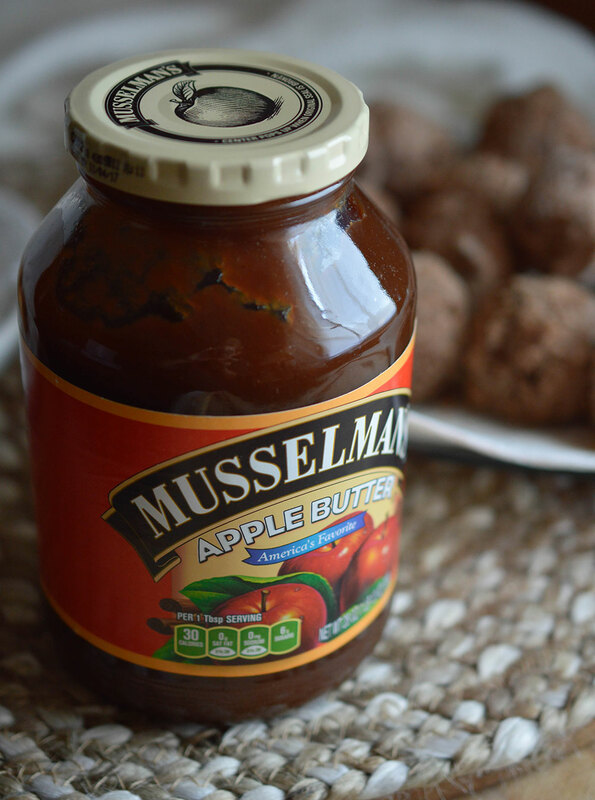 Musselman’s Apple Butter is a versatile ingredient that will enhance your recipes with unique spiced apple flavor! Although I am being compensated for this post, all opinions are my own. 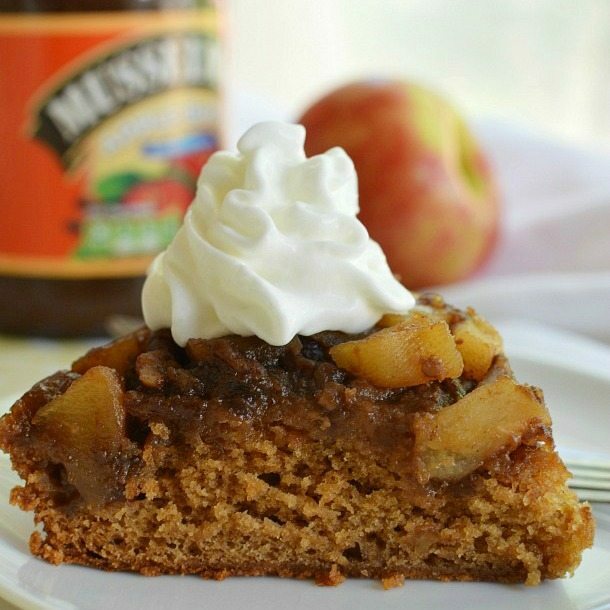 Find More Apple Butter Recipes on the Musselman’s Site. A little known secret about me, I have a strong aversion to frying foods. But, I love to eat fried foods. Years ago I worked at a bar and grill as the bartender, cook, waitress, busboy, cashier and bouncer. I know what you’re thinking . . . Dream Job! LOL. After a long shift of deep frying food and cooking burgers, I had a grease coating from head to toe. Ever since then I have done everything possible to keep from frying foods. So I’m back. I am a deep frying machine lately. Batter and dough is no longer safe around me. It’s going into a pot of hot oil! These Cinnamon Sugar Fried Doughnuts are the perfect start to my doughnut madness. 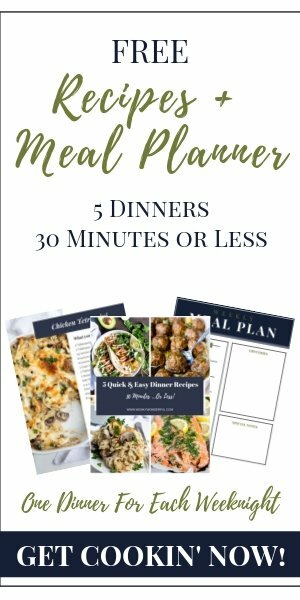 They are very easy to prepare. 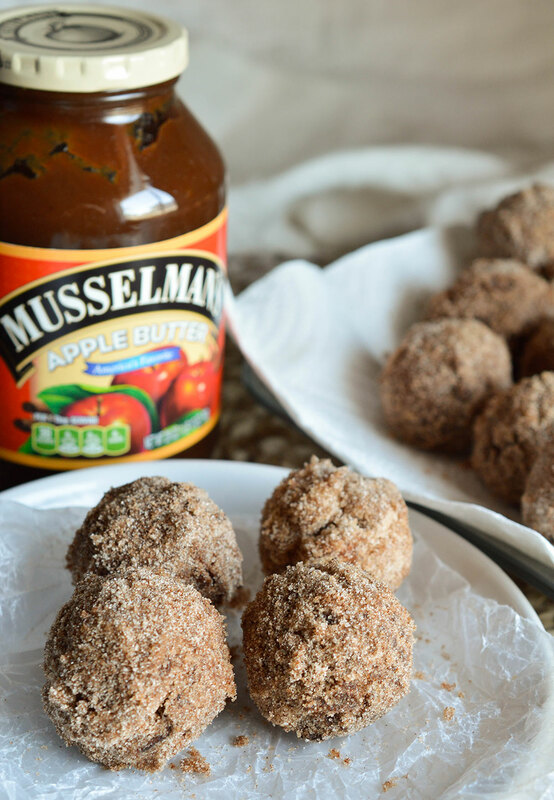 Infused with Musselman’s Apple Butter flavor and rolled in a thick coating of cinnamon sugar. I have made these doughnuts many times. They got rave reviews from all of my taste testers. The kids just loved them. My friends thought they tasted like churro doughnuts. And my Mom’s coworkers couldn’t get enough (and those doughnuts were sampled a day after they were first prepared!). As far as frying doughnuts, I prefer not to use a thermometer. I find that relying on a thermometer doesn’t usually work out for me. I allow the oil to heat for about 5 minutes. Then sacrifice a small dollop of batter into the oil. Once the batter floats to the top and is bubbling/sizzling, you are good to go. Prep the cinnamon and sugar before you start frying. Do not crowd the pot of oil. 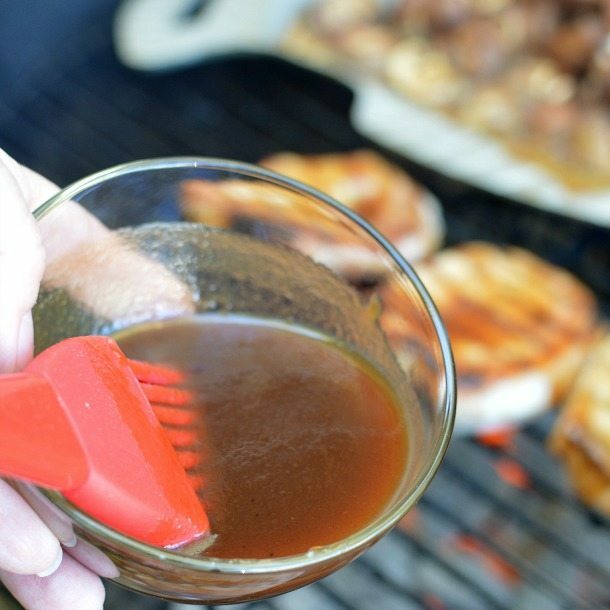 Gradually decrease the heat between batches as the oil gets hotter. Use a cookie scoop to measure even amounts of batter. Be extra careful when dropping batter into oil. To prevent splashing drop batter close to oil. 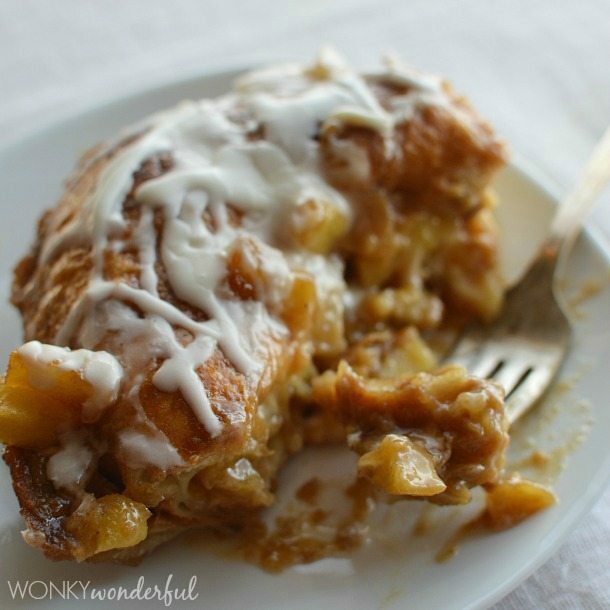 And whatever you do, don’t skimp on the cinnamon sugar! 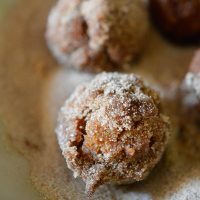 I hope you decide to give this Cinnamon Sugar Fried Doughnut Recipe a try. It is worth standing over that hot pot of oil! And be on the lookout for more delicious recipes, thanks to Musselman’s Apple Butter! Find Musselman’s on: Facebook, Twitter and Pinterest. Mix cinnamon and sugar coating blend. Set aside. In a large, heavy bottom pot; heat oil over medium while prepping batter. Mix all doughnut batter ingredients until free of lumps. Drop a small dollop of batter into the oil. Once the batter floats to the top and is bubbling/sizzling, discard and begin dropping batter using a 1 Tablespoon cookie scoop. Flip doughnuts while frying. Fry for 3-4 minutes or until dark brown. 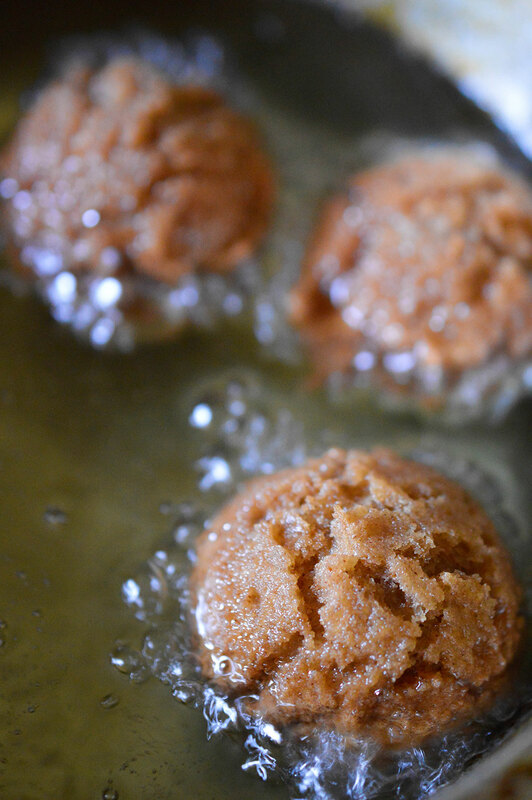 Using a metal skimmer or slotted spoon, transfer doughnuts to prepared cinnamon/sugar blend. Roll to coat with sugar. Transfer to the baking sheet lined with paper towels. Allow to cool for 2-3 minutes before serving. To store, refrigerate doughnuts in an airtight container. Use within 3 days. *Enough vegetable oil for 3-4 inch depth. 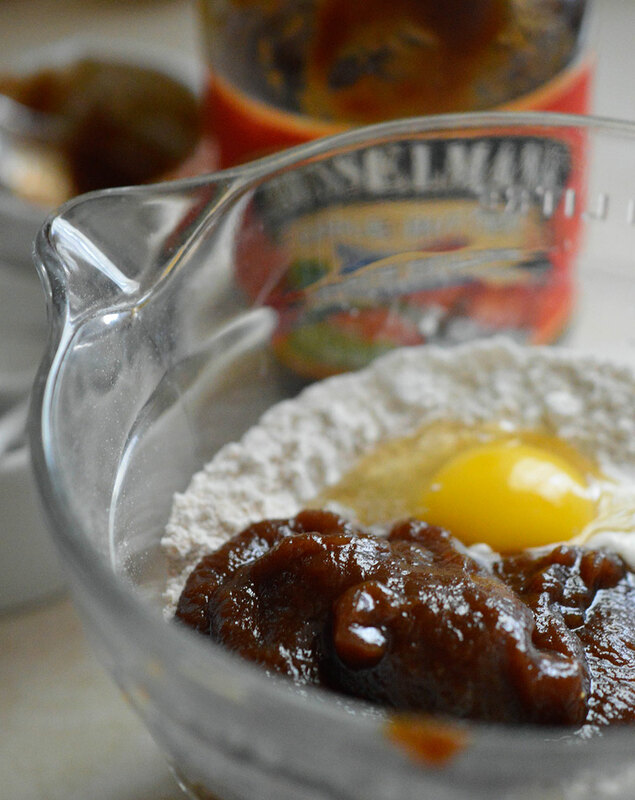 Eat More Musselman’s Apple Butter. 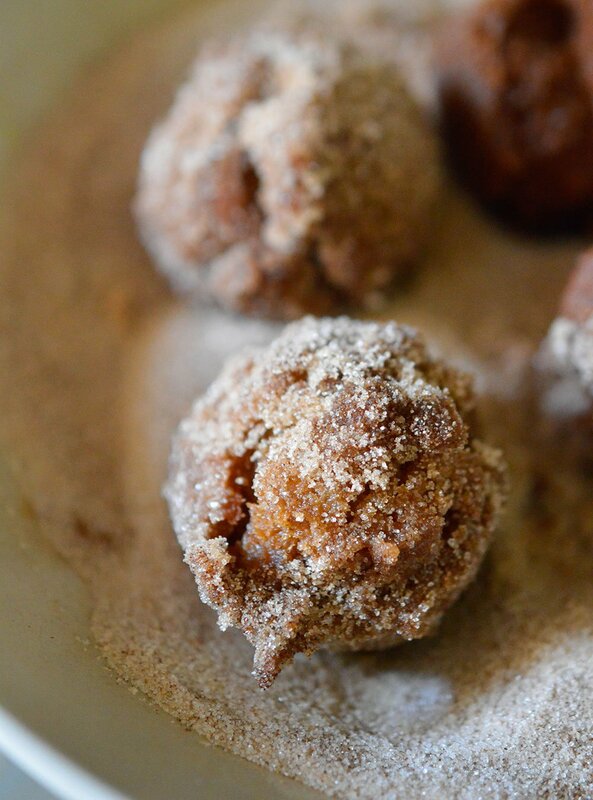 . .
Mmmm….applesauce doughnuts coated in cinnamon sugars sound amazing! I adore Messelman’s! I can eat it out of the jar with a spoon! These wouldn’t last long at my house. Yum! You have no idea how much I adore these. I love fresh fried donuts! I’m literally drooling thinking about these!! I need them!! Haha, I hear you on the deep drying. For me, it’s more so the splatters that go everywhere. And I always end up burning myself somehow. I’ll deep fry something every once in a long awhile, and it needs to be worth it. These doughnuts look totally worth it! Oh my word! Donuts flavored with apple sauce!?!?! I love it!